The * Super Deluxe Hardcover Edition with Dustcover* includes a sheet of stamps and a canceled envelope. 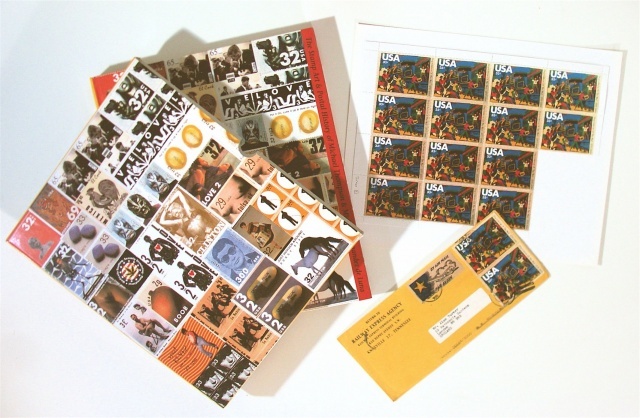 This edition is limited to 85 envelopes. The stamp being offered is called "Depredation of the Mail", and can be viewed on the following pages.